Actikem are thrilled to announce that we have had nominations for four awards at this year’s Chemicals North West Awards Ceremony. 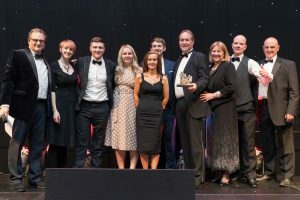 This follows last year’s win at the awards for best ‘Supplier to the Chemical Industry’. We have been selected as 2019 finalists for: The Sustainability Award, Supplier to the Chemical Industry Award, Young Talent in Supporting Operations Award (Becky Brown) and Young Talent in Technical Operations (Laura Weston). This year’s event will be held at the Imperial War Museum in Manchester on Thursday 28th March. The host for the evening will be Alexis Conran who was originally an advisor on the drama series ‘Hustle’ as well as BBC Three’s ‘Real Hustle’. He is also a trained actor and magician and has also helped BBC One’s ‘Watchdog’ keep the public up-to-date with the latest scams. 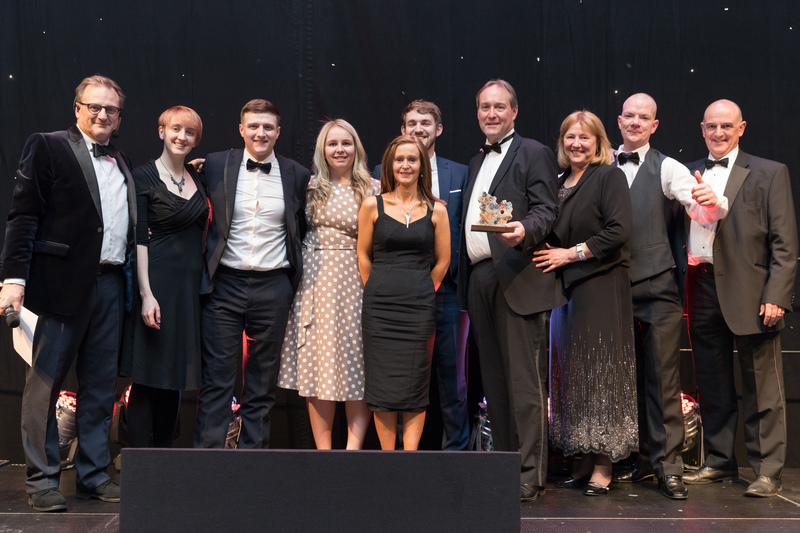 The Actikem team collecting their award on stage at last year's event. We are very proud that both our entrants were nominated for the young talent awards. Laura Weston, who is up for ‘Young Talent in Technical Operations’, is our Product Development Chemist. Since joining Actikem in December 2017, Laura has worked on several successful projects which have included: developing and adjusting several existing product formulations, helping grow Actikem’s customer base through her work on new enquiries and helping Actikem become more sustainable through the recovery of quarantined stock. Becky Brown, who has been nominated for ‘Young Talent in Supporting Operations’, is our Sales, Business Support & HR Executive. Becky has been at Actikem for over two years now and has recently started a course in CIPD Level 3 Certificate in Human Resource Practice at Warrington & Vale Royal College. With her role now becoming more HR focused Becky has taken on a number of projects including: a performance rewards incentive scheme and an employee wellbeing project.